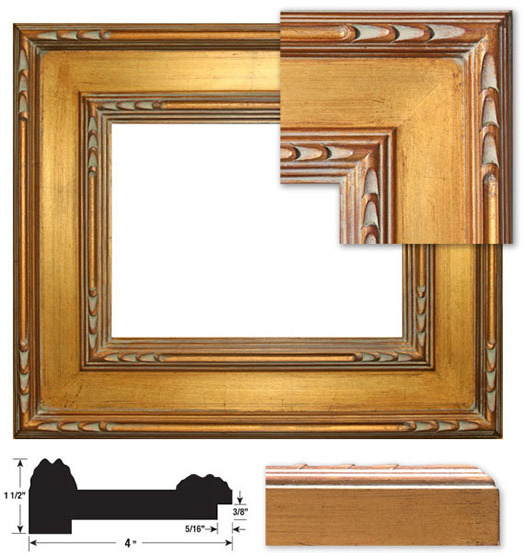 The Stanford is a dazzaling, solid wood frame we've recently added to our plein air line. Beautiful carved motif in a rich, dark Gold metal leaf with hand applied finish. Frame border width measures 4".